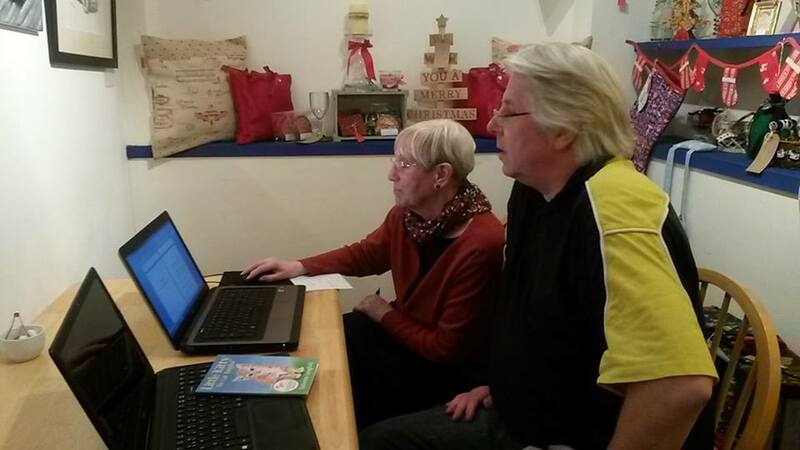 Pam is at The Coconut Loft Art Gallery updating her author bio with the help of co-owner Richard. And here’s Gina, co-owner of The Coconut Loft Art Gallery encouraging Pam with her writing and making sure she has enough coffee. 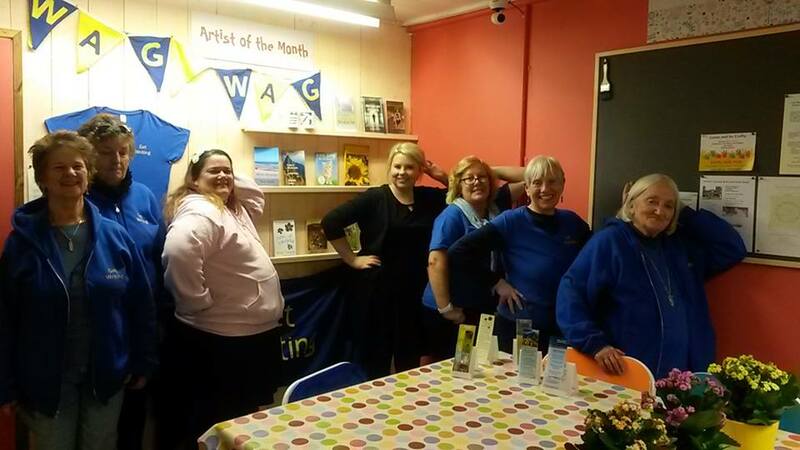 On Thursday some of the authors are in Saxmundham. 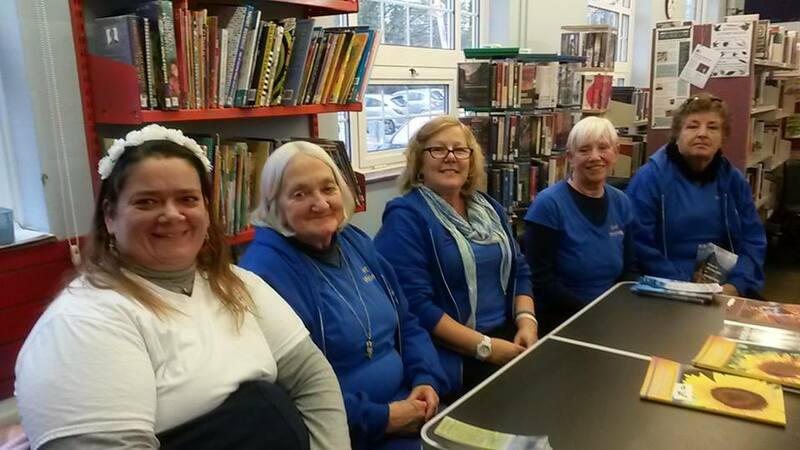 Enid, Helen, Pam, Bronwen and Suzan at Saxmundham Library talking about their books and getting published. 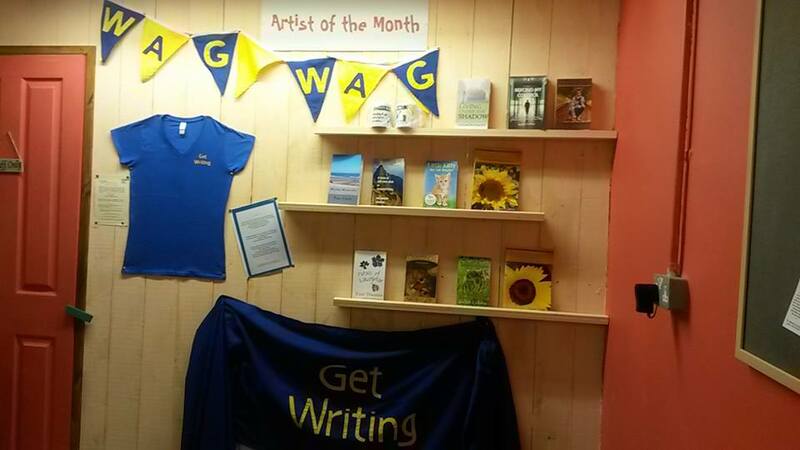 Afterwards it’s on to The Shed Café and The Workbench at Henstead and as you can see the Waveney Author Group is Artist of the month. The authors are joined by writer Hilary Lepine and the owner of The Workbench Ellen Winser. 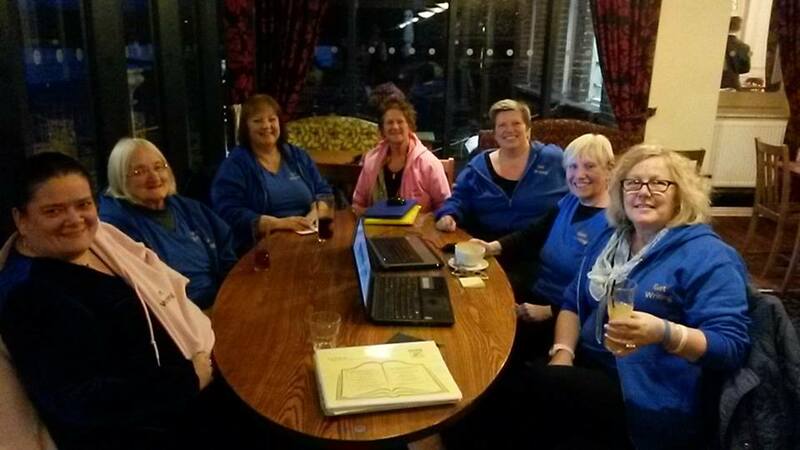 On Saturday the Waveney Author Group had their WAG meeting at the Wherry Hotel. 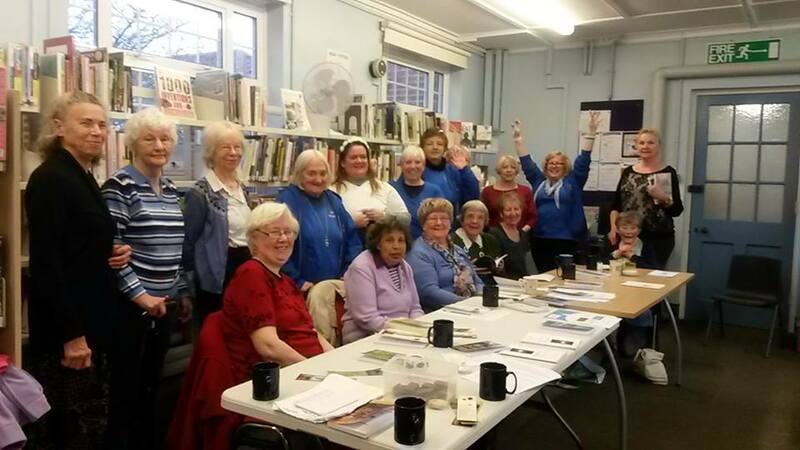 From left to right: Helen, Enid, Lucy, Hilary, Jo, Pam and Suzan. 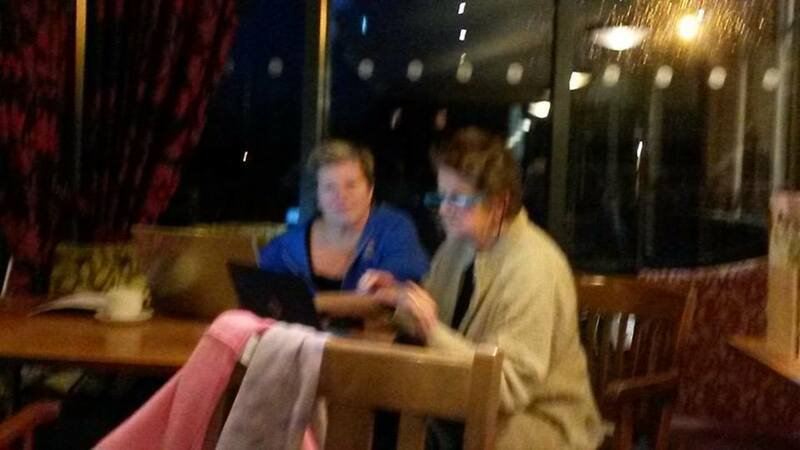 The authors are having their WAG meeting at The Wherry Hotel. This was taken at the start of their meeting and shortly after this they got to work. It’s a very exciting time for Helen, Lucy, Hilary and Pam as all four authors will have their books released soon. 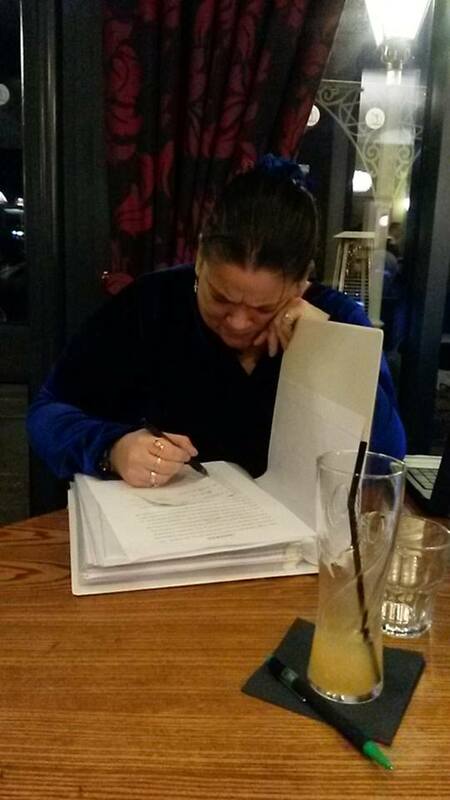 Helen is going through the feedback her beta-reader gave her. 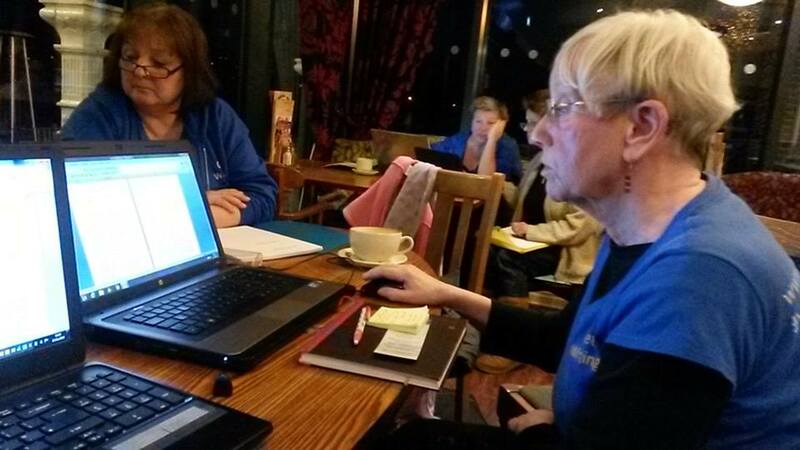 Pam is putting the final final touches to her wip, Lucy is waiting for Suzan and Editor Jo and Hilary are busy in the background. 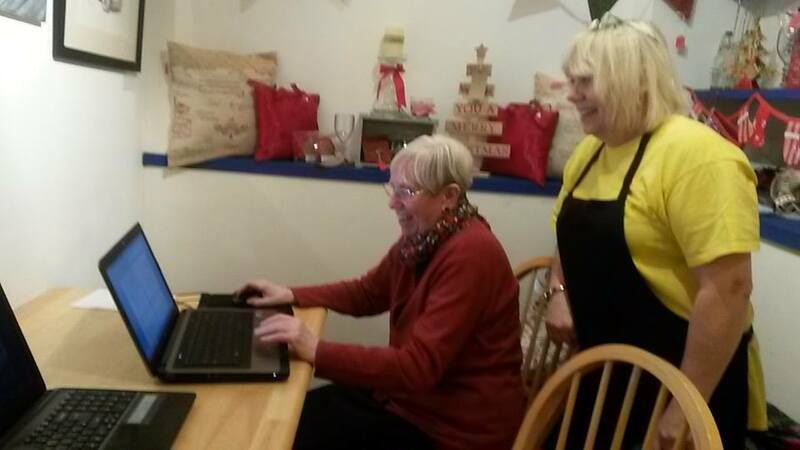 Editor Jo going through her feedback with Hilary. This entry was posted in Saxmundham Libray, The Shed Henstead, Wherry Hotel and tagged Carole Gomez-Cornejo, Enid Thwaites, Gina Parkin, Helen Thwaites, Hilary LePine, Jo Wilde, Pam Finch, Suzan Collins, The Coconut Loft, The Shed Cafe Henstead, Waveney Author Group, Writing. Bookmark the permalink.